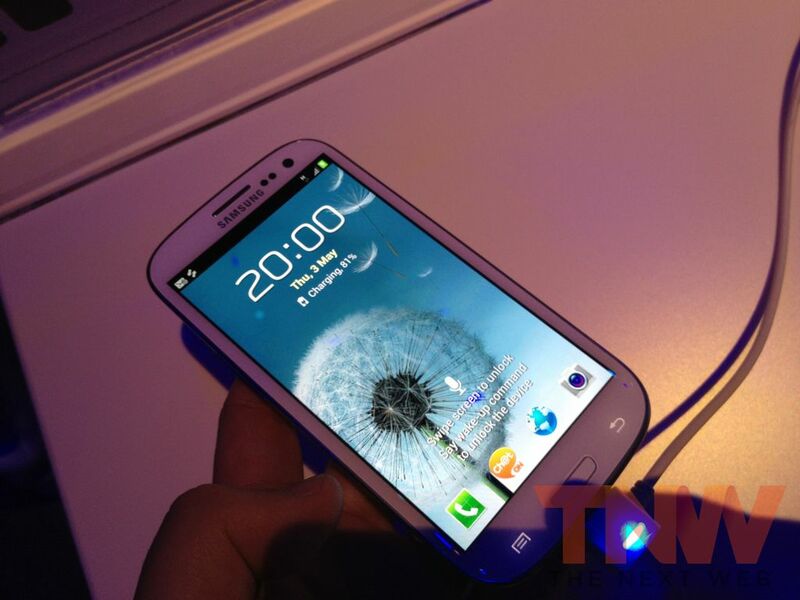 Mobile giant Samsung has said that it expects that cumulative global sales of its the Galaxy S III, its latest flagship smartphone, will pass 10 million units during next month, as it begins to see the effects of launching in the US and other significant markets. Reuters reports that the figure was put forward by JK Shin, who is head of the firm’s telecommunications business, who spoke of his expectations for the phone, which was released to 28 markets across Europe and the Middle East at the end of May. Samsung unveiled the device in its home market today, and it expects that the phone will launch in the US by the end of the month, becoming available through 5 operators. Samsung recently noted said that the Galaxy S III is its largest single device push ever, it says, and its planned launched in July should see the phone available via 296 across 145 countries worldwide. Prior to the launch, unconfirmed rumours that reportedly leaked from the company suggested that it had already received 9 million pre-orders for the phone, but the 10 million target is the first time the company has revealed any level of expectation around the device. Breaking 10 million sales by the end of July — two months after it first went on sale — would certainly be significant, and demonstrate that its reception has lived up to the billing and hype. The potential for one device to hit 20 percent of that figure within two months of launch, shows that Samsung has progressed into the chief rival to Apple’s iPhone. As first quarter 2012 industry reports from IDC and Strategy Analytics both concluded, the duo have pulled away from their other competitors. “Samsung and Apple are outcompeting most of their major rivals and the smartphone market is at risk of becoming a two-horse race,” said Strategy Analytic’s Neil Mawston. Apple is expected to launch the latest version of the iPhone later this year, with the Samsung Galaxy S III widely expected to be its strongest competitor. Apple sold 35.1 million iPhones during the most recent quarter which, alongside 11.8 million iPad sales, saw it bring in $39.2 billion revenue, of which $13.06 billion was profit.